It is seven years since our Foundation was created, time to reflect on the speed in which we have institutionalised internally; begun to change narratives globally; and championed entrepreneurship in Africa. Time also to remain humble, knowing the scale of the challenges our continent faces; the numbers we could help if resources were limitless; and knowing the resilience and endurance that our entrepreneurs show in their own journeys. As a young entrepreneur, I saw the potential of private sector investment to transform livelihoods. As we expanded the United Bank for Africa to nineteen countries across our continent, I saw our positive impact, measured not just in the bottom line, but in expanding access to finance, creating stable employment, breaking down trade barriers. I committed myself to empowering the next generation of entrepreneurs. 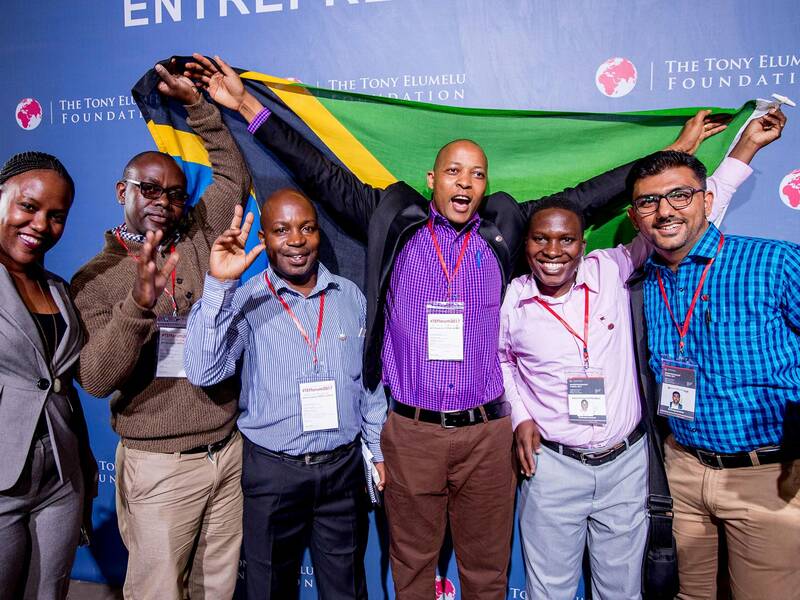 Since 2010, the Tony Elumelu Foundation has been dedicated to resolving Africa’s most pressing social issues – empowering entrepreneurs and enhancing the competitiveness of the private sector. When we launched, we wanted to change the narrative on African development. We wanted to reframe the agenda, so that economic development would no longer be centred on foreign aid. We would show that Africa’s transformation could and should be driven by Africans. Let us reflect on how our Foundation has grown and how our ambitions have risen to the challenges, are moving towards achieving scale and continent-wide impact. ‎Our early years explored the impact of supporting businesses at different stages of development, to identify where we could have the most impact. We forged meaningful partnerships and ran successful programmes. Our focus now is the Tony Elumelu Foundation Entrepreneurship Programme – our US$100M commitment to empowering 10,000 entrepreneurs across all 54 African countries over a 10-year period, through the provision of seed capital, training, mentoring, and networking opportunities. Our goal is to create over a million jobs and US$10billion of entrepreneurially driven wealth. 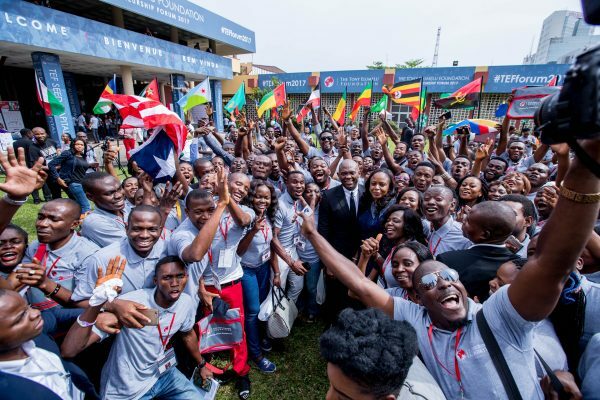 Just last month, the Tony Elumelu Entrepreneurship Forum was the largest gathering of African entrepreneurs ever; unprecedented in size and scope. We hosted entrepreneurs from 54 African countries in Lagos, Nigeria and united ecosystem players, including investors, entrepreneurs, business leaders and policy makers. We signed strategic partnerships with UNDP and AFD to promote development activities that support entrepreneurship and to cover risk sharing to commercial banks in Africa for loans to entrepreneurs. Our work is rooted in our core philosophy of Africapitalism, which states that the private sector’s role is crucial for Africa’s development – and that the private sector needs to create both social and economic wealth. In just seven years, we have had direct impact on thousands of people, empowering individuals to create jobs, influencing policy and becoming the leading driver of entrepreneurship across Africa. I am grateful to all of our colleagues who have been part of this journey for their immeasurable dedication to driving our mission. In addition, my heartfelt thanks go to my fellow Trustees – my wife, Dr Awele Elumelu and Alexander Trotter, and all members of our Advisory Board for their guidance and endorsement of our activities over the years. Finally, to all our stakeholders and advocates. Thank you for your continuing support of our growth and initiatives. We could not have come this far without you all. Posted in Articles, Marketing Materials, News.